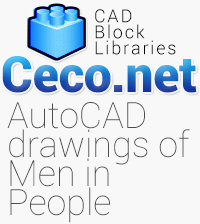 Description for this Autocad block : The Old Man and his Dog. 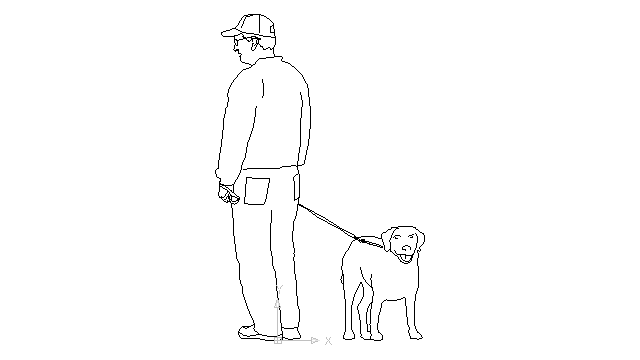 I see an old man walking slowly down the sidewalk with a small dog on a leash. The old man is hunched and barely able to walk.